Agape Love Designs: 500 Follower Celebration: Janiceys Artisan Giveaway! 500 Follower Celebration: Janiceys Artisan Giveaway! Here are a few of the lovelies she offers in her shop! 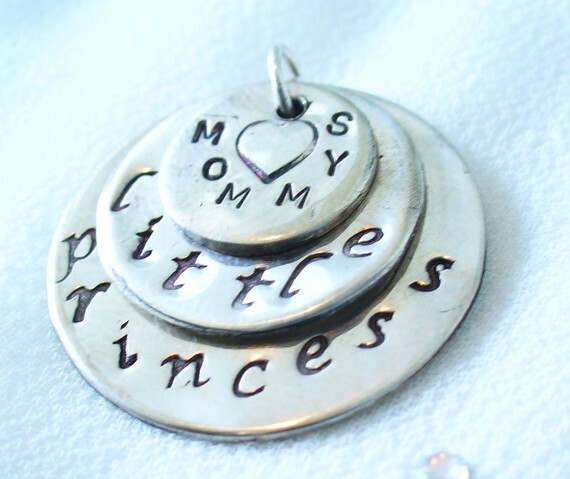 Silver Plated Disc Charm! She offers customs too! 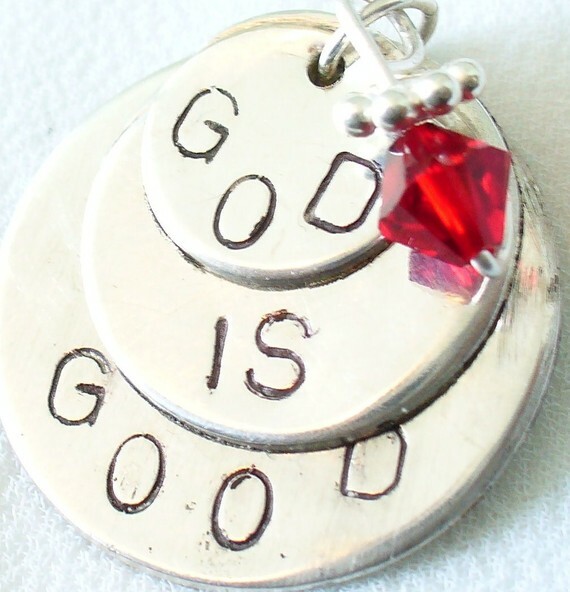 A CUSTOMIZED 3 disc charm! Anything you want stamped on the charm! 3.) Let me know your favorite item in that shop! 4.) What would you have your customized charm say? her copper bracelet is outstanding but i'd still have to say that the discs are my favorite. what i'd write on them? hmmmm, i'd have to think on that a bit. I added her to my etsy favorites -- thimbleluvr. Favorite item is so hard to choose, but probably one of the copper charm bracelets for me, or any of the earrings if I'm looking for a gift for my daughter. 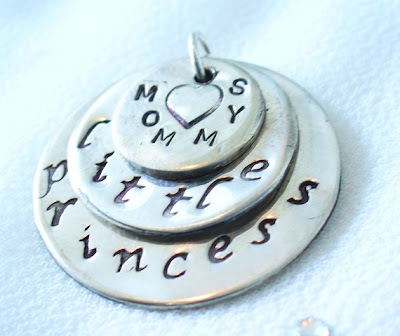 If I win, I would probably have my charm incorporate my children's names or their initials. I'm a fan of Agape Love on Facebook. The disc charms are definitely my fav. I have no idea what mine would say! I'm so indecisive when it comes to something so permanent. Thankfully my husband is good ad making the right executive decision for me! I'm a stalker of yours on FB. 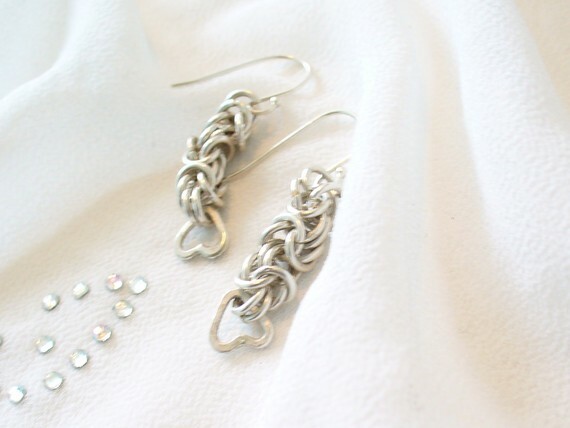 My favorite item in the shop is the "chain mail persiantine earings with Swarouski crystal." 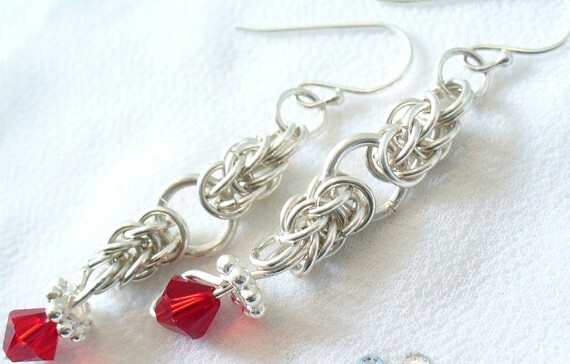 I love the twisted look of the silver & the color options for the crystals. Shared the link for this blog on Facebook! I am a new follower and would love to win! On her site I love the 3 disc charms the best! I would put my kids names on there! Hi! I added it to my Esty Shop! I'm a public follower of Agape Design! my favourite item is the charm discs and the sterling silver byzantine. I wonder if they can be combined!!! I would have my children's names etched in the discs! i fan agape love designs on facebook! I added her to my favorites. User name avanhoose. My favorite item is the 3 disk charm. I think I would put my husband and I's names or initials on one disk, our wedding date on another, and something cutesy on the third. Added Janicey's Etsy shop to my favorites! The three disc charm necklace is my fav! I follow Agape Designs blog! I added Janiceys to my etsy favorites! My charm would say, "Saddle Up Anyway". It's my favorite quote from John Wayne.